CLAP 200 is concentrated non ionic liquid detergent for easy removal of mineral oils, and greasy stains from chef's uniforms, mechanics and engineering overalls. 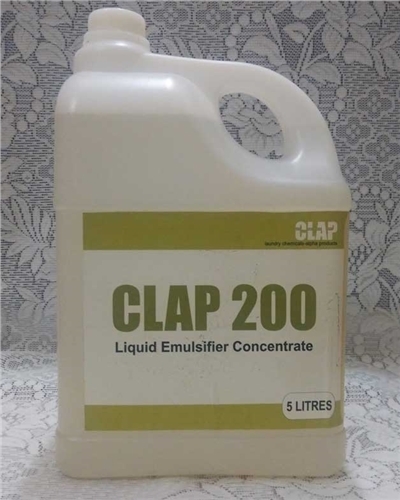 CLAP 200 is a concentrate thereby requiring minimal dosage. For normal soiling cotton and Polyester 1-2 ml / kg of dry load. Safe for use on coloured fabrics.